The Observer: Shepard said she wants to promote acceptance rather than just tolerance of diversity. "It's just not that hard," she said. "This is about humanity and being kind. You tolerate bad hair — you don't tolerate people. You accept them." In order to promote the end of hate crimes against the gay community and minorities in general, Shepard said everyone must work to remedy this issue by speaking with state representatives and voting. She said it is not a matter of liking gay people or not. Rather, it is a matter of respecting people for who they are and affording them the civil rights they deserve, especially the right to marriage. "You don't like gay people getting married? You don't like gay weddings? Then don't have one," Shepard said. "I'm not asking you to become their new best friend, I am asking you to grant them equal rights." Overall, Shepard said the problem of hate could be changed through education and acceptance. "Educate, educate, educate," Shepard said. "Bring light where you see darkness, bring freedom where there is fear because you are who you are and you love who you love." (Shepard speaks against hate). 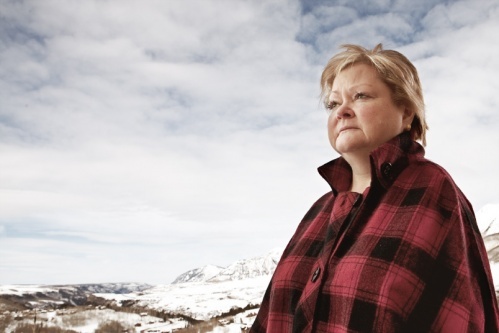 Judy Shepard (née Peck; born 1952) is the mother of Matthew Shepard, a 21-year-old student at University of Wyoming who was murdered for being homosexual. She and her husband are co-founders of the Matthew Shepard Foundation, and an advocate for LGBT-rights. On Monday, February 15, 2010; Heritage of Pride, the producers of the annual LGBT Pride March down 5th Avenue in New York City announced that Judy Shepard has been selected as a Grand Marshal for the March along with Lt. Dan Choi previously announced (Wikipedia).